Having a Baby Monitor in your room will allow you to keep an eye on your baby anytime. Our massive community of bargain hunters will provide you with the best cheap Baby Monitor offers, deals, and voucher codes. Here you can compare and look for cheap Baby Monitors online most especially if you have a limited budget. Find what you are looking for at Amazon, Very, ASDA, and other UK sellers. Special offers are up for grabs so don't waste this opportunity to purchase a quality Baby Monitor at an affordable price. Video Baby Monitor 2.4GHz Wireless Long Range - 40% Off! All the best baby monitor voucher codes across the UK! A baby monitor also referred to as the baby alarm, is an entire radio system utilised to remotely listen to the sounds emitted by infants. It has an audio monitor made up of a transmitter unit packed with a microphone. Usually, it is placed just close to the child. Through radio waves, it transmits sounds which will then be received by the unit. Today, there are also baby monitors which can provide a two-way communication. This enables parents to speak back to their baby. This function may be referred to as the parent talk-back. There are those that can also play music to their kid. Moreover, there are those with a video camera called a baby cam that are available today. One of the best uses of a baby cam is that it would enable the parents to not just hear but see when their babies are awake. While this is very commonly utilised now, it is still to be proven as to whether the monitors can prevent SIDS. Many doctors out there would like to claim that the mentioned has the capability to provide a false sense of security, but that is still to be proven as well. Young children and infants are easily heard over a baby monitor in a crib talk. This is when they talk to themselves without anyone. In practising and sharpening their language skills, this is often done and it is true for each and every kid out there. These are just some of the ways in which a baby monitor becomes a useful gadget to a household. If you are expecting, or if you want to install this in the room of your child, it is never too late to check what is waiting for you. Get the best baby monitor without hurting your budget with the help of Latest Deals. 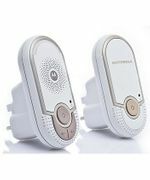 From the best video baby monitor sale from brands such as BT Video baby monitor and Motorola baby monitor like the Motorola MBP855Connect to baby monitors reviews that can help you narrow down your choices, we’ve got you covered. When it comes to keeping your baby safe, always take advantage of the latest innovations technology has to offer and the savings you can get here. Our massive community of bargain hunters is always on the lookout to find the best possible baby monitor deals, discounts and special offers online. We also have a team of money-saving experts who regularly share essential shopping tips and tricks that can help you get some serious money off on your online and instore purchases. Most UK retailers often have sale events, seasonal clearance, and flash sales where you can save as much as 70% off on a wide selection of baby monitor items. They also reduce their prices further during Black Friday, Cyber Monday, and Boxing Day. But if you want to maximise your savings, make sure to use the latest baby monitor discount codes you can search here. There are even voucher codes where you can get freebies and free shipping. Baby monitors are a key essential items on most new parents’ shopping lists. But with an array of different baby monitors out there, how much money should you be spending for peace of mind while your baby is sleeping? Baby Sound Monitors. Baby Sound Monitor is the most commonly used among baby monitor types. They are available both in analogue and digital models. Usually, these sound monitors come with a transmitter that picks up any type of sounds that comes from the room of the baby. Afterwards, it is delivered to the receiver. This would enable the parents to have an idea if the baby wakes up from a nap already, or if he or she is crying in the middle of the night. These kinds of monitors are portable in nature. Baby Video Monitors. Baby video monitors are for parents who are not satisfied with simply hearing their baby. Most of these have a camera with a microphone that easily transmits images and sounds on the receiver. Moreover, the receiver is typically a handheld device that comes with a small black and white or colour screen. There are other models with portable screens and they can be carried around when you need to stay in a single place. There are also other models which can stream video through the internet so that parents may be able to watch their babies from device with an internet connection. Baby Motion Monitors. Baby motion monitors are a different breed. They do not just transmit the movements or sounds the babies make. There are kinds of Wireless Baby Monitor that comes with a sensor. It is put under the mattress on the crib of the baby. The idea is to detect the movements of the baby. If the baby does not move for more than 20 seconds, the alarm will buzz. There are motion monitors that can relay sounds to parents so that they can hear if their baby is breathing and crying. These are the types of monitors that are typically used with babies who are born prematurely, or those with health complications. Serves as a safety device. When you know what is happening with your baby all the time, accidents can be avoided. Little ones are always prone to swallowing small objects, falling out of their cribs, and hurting themselves unintentionally. Tracks movements. A baby monitor is effective in tracking the movement of your baby. There are models which assist a wireless internet connection. This comes with an encryption to ensure that your privacy is still protected. Helps you give your child attention. A baby monitor is a useful gadget for all parents. If you have a big family and you need to take care of more children, you can still give them close attention with the use of this technology.